A Portrait Of A Woman Sitting Cross Legged In Tall Grass Looking Into Distance. A Woman Enjoying Being In The Nature. Фотография, картинки, изображения и сток-фотография без роялти. Image 103306425. Фото со стока - A portrait of a woman sitting cross legged in tall grass looking into distance. A woman enjoying being in the nature. 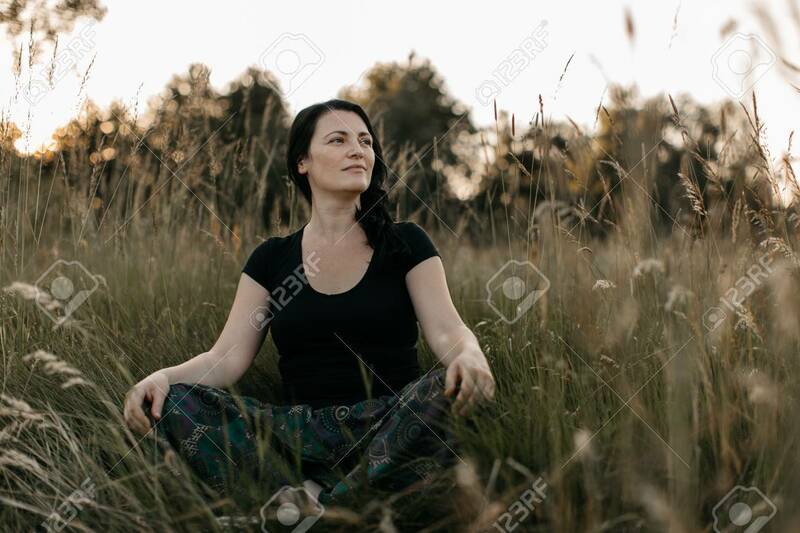 A portrait of a woman sitting cross legged in tall grass looking into distance. A woman enjoying being in the nature.